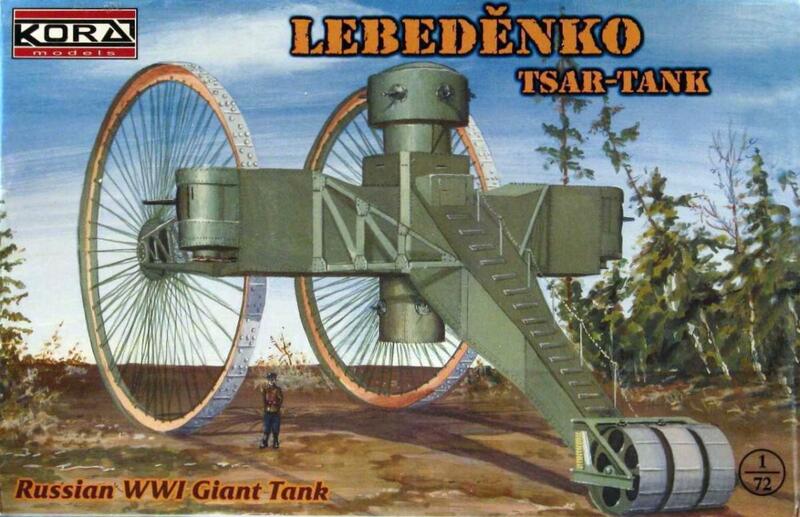 The Tsar tank, also known as the Lebedenko tank or Netopyr. 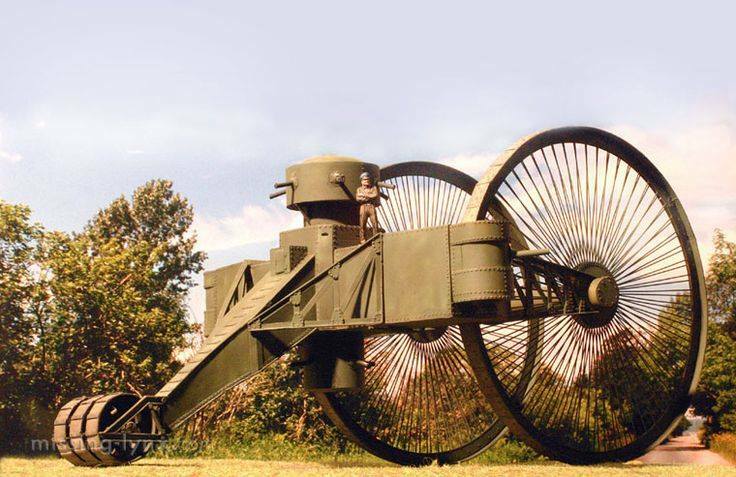 The Tsar tank’s huge wheels were an answer to the problem of passing over rough terrain and other obstacles. 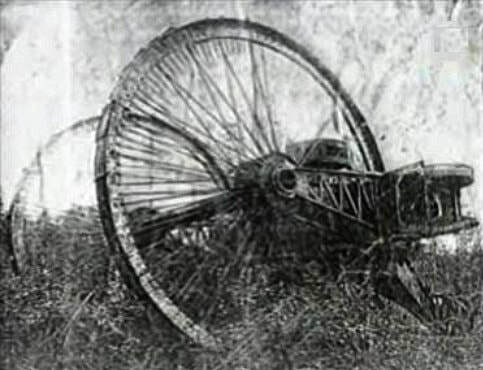 A set of rear wheels were meant to stabilize the tank. 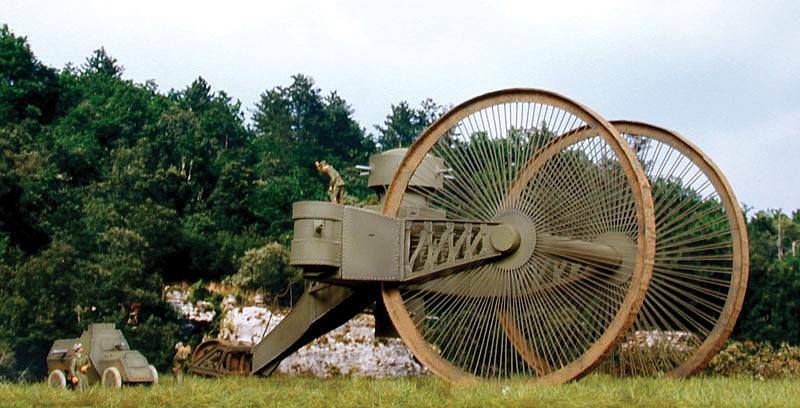 The front wheels, powered by a 250 hp engine each, would easily pass over most obstacles. 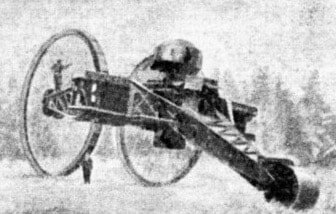 The idea was conceived by engineer Nikolai Lebedenko, with help from Nikolai Zhukovsky, Boris Stechkin and Alexander Mikulin. 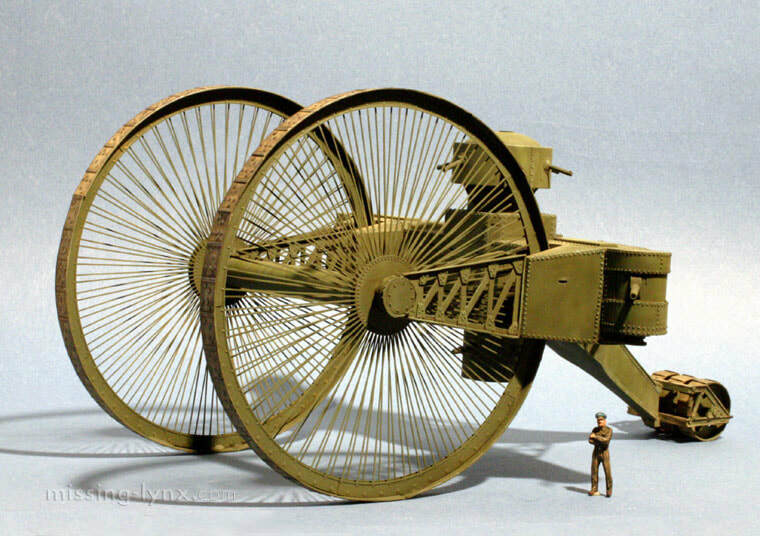 A scale model with a spring motor was presented to the Tsar of the Russian Empire. 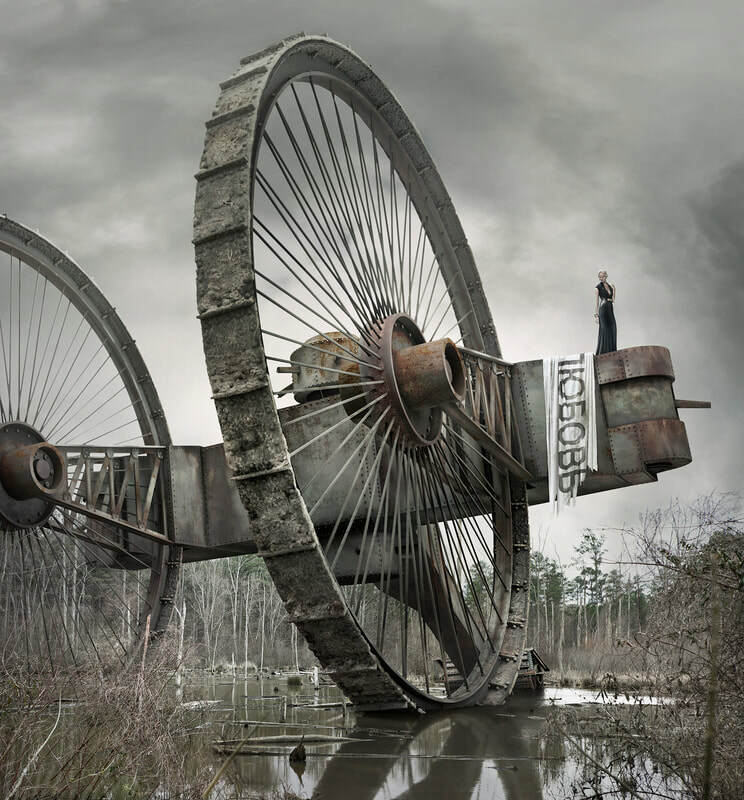 He was impressed by its ability to climb some thick books laid in front of the model and funded the project. This earned the tank the name of its sponsor. 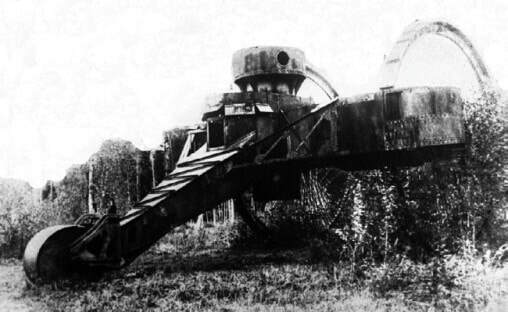 A single prototype was built. 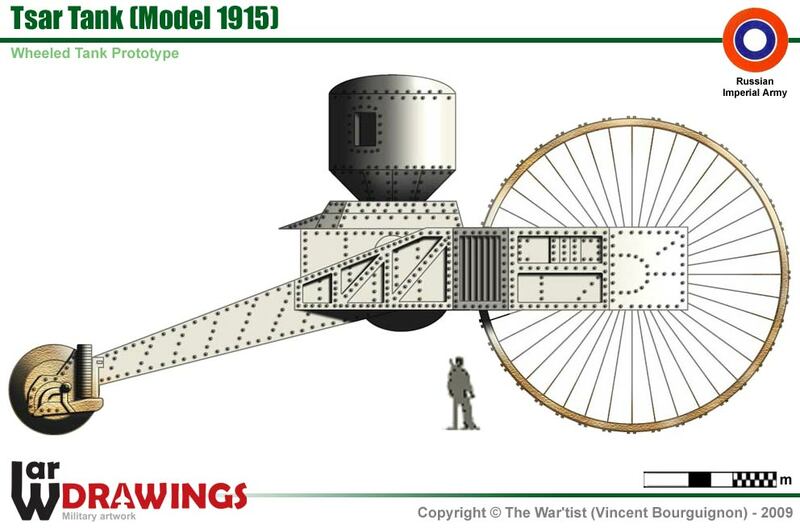 The hull resembled a tuning fork, with the two 9 m wheels mounted on the arms. Each was powered by a 250 hp engine. 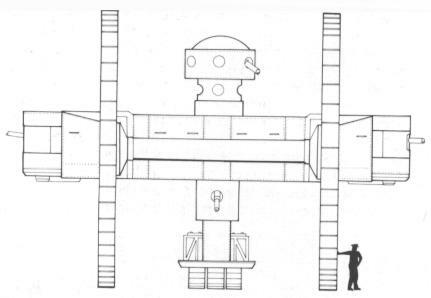 At the center of the hull a large structure was added, containing a top turret and sponsoons. 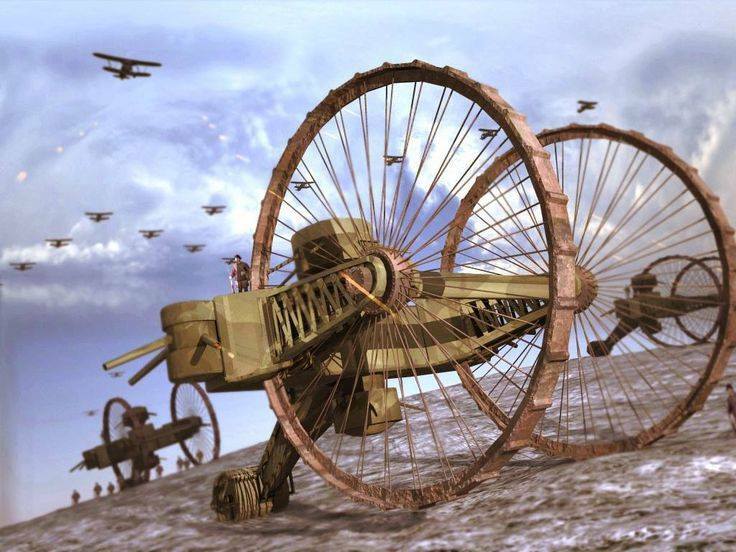 These would have held the crew, ammunition and armament, The vehicle had to be dismounted into several parts in order to be transported. 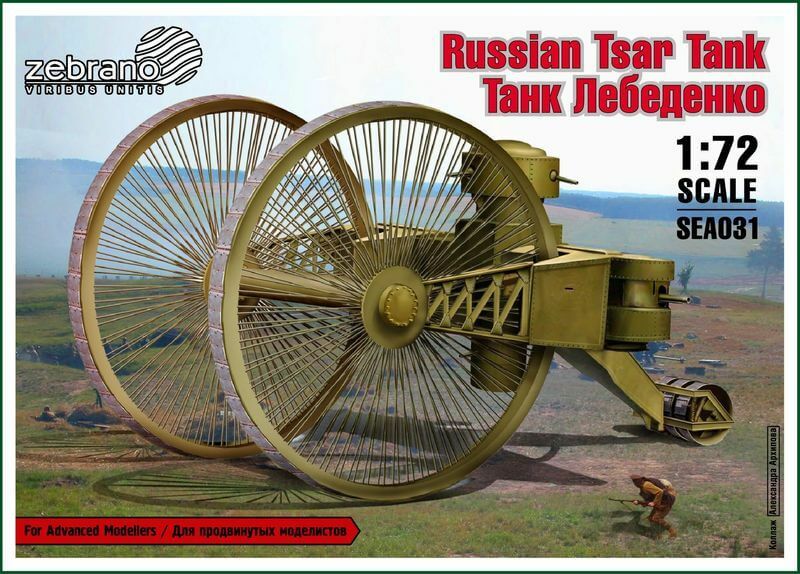 The prototype was shipped to a proving ground 60 km from Moscow, where it was demonstrated in front of a commission. However, it soon got bogged down and it was not retrieved. 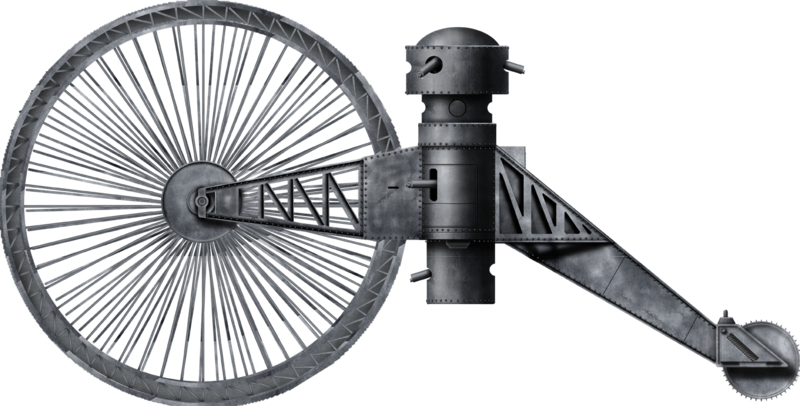 The whole project was shut down due to the costs and inefficiency of the concept. 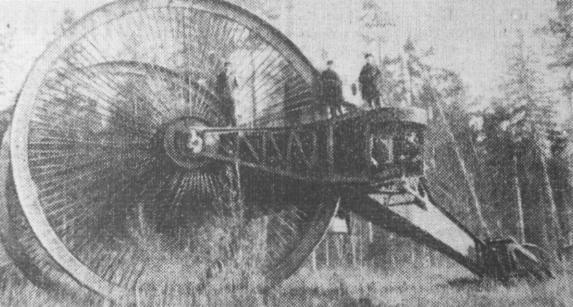 The prototype remained on the spot until 1923, when it was scrapped.